Lots of ROOM with a VIEW ! The Mainship engineers went the extra mile with the 34 Motor Yacht, in an all out effort to create the interior volume of a 40-footer in a 34-foot boat. 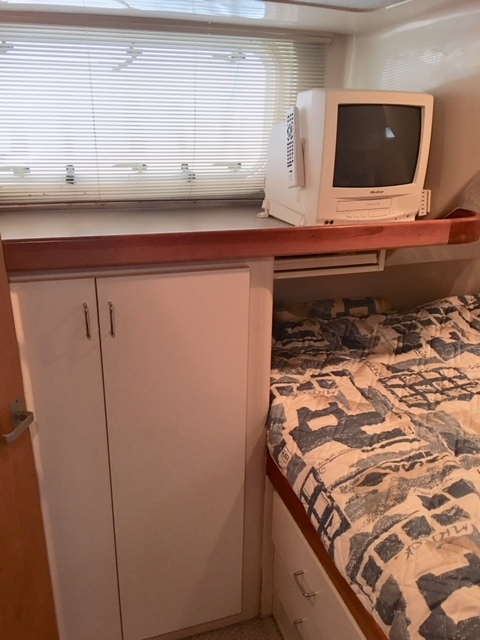 Featuring a Two Cabin layout, and Large Main Salon, she sleeps six very comfortably. Each of the two heads, are outfitted with its own Stall Shower. The Overall Layout feels much larger than 34 feet. The Fly Bridge has center console helm with companion seating. There is a unique walk thru passage to the fore deck from the bridge. 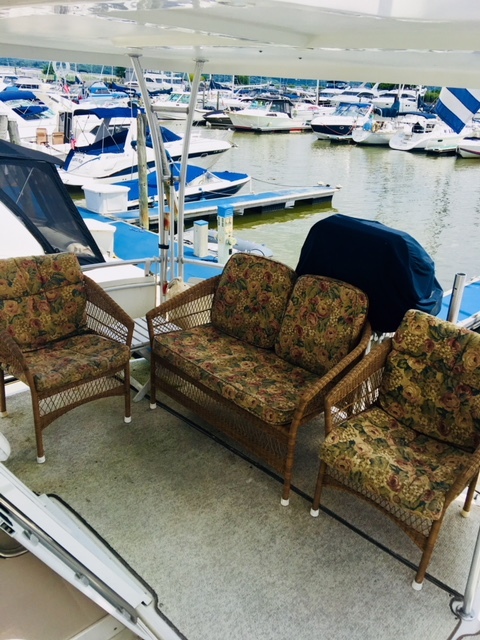 Her Aft Deck has a wet bar, and with the included wicker furniture, adds yet another level of space to the layout. 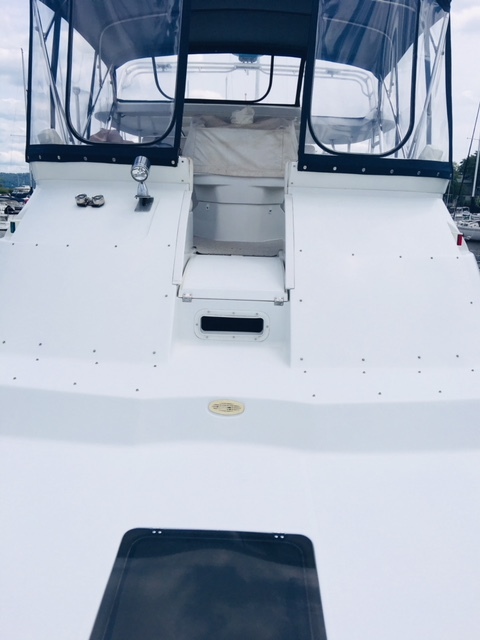 A Freshwater Hudson River boat since new, this Mainship features Twin Marine Power 454 EFI 300 hp Engine's, with 665 original hours, and Risers and Manifolds done 4 1/2 seasons ago. 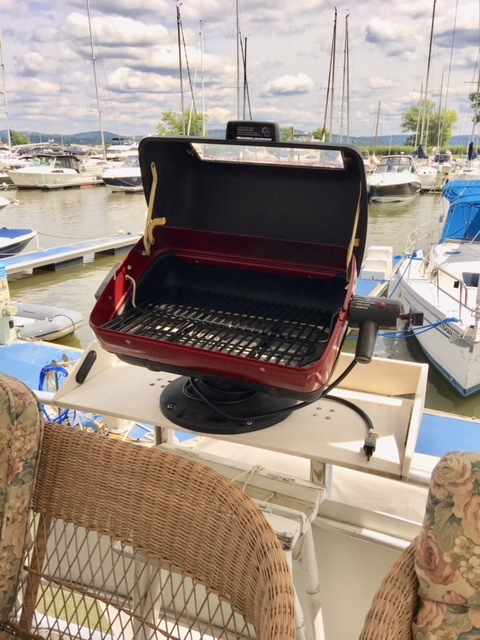 Notable features include but are not limited to the following: Air-Conditioning & Heat (2-Units), (2) Full Heads (Electric Flush), 40 Gallon Holding tank, 70 Gallon Freshwater tank, 300 Gallon Fuel tank, a 6.5kw Generator, and important things, like an Electric Barbeque. *For the right offer, the 8’9” Mercury Inflatable dingy and motor is included. The manual winch arm and brackets stay with the boat.